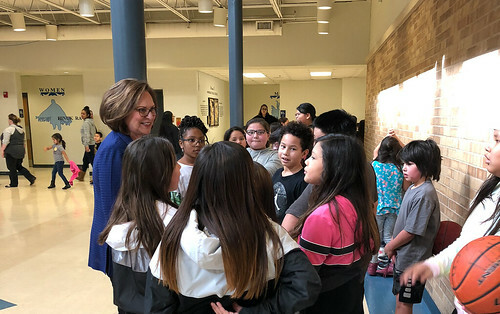 During the recent February state work period, I had the opportunity to tour the Winnebago Public School and meet with their students and faculty members. During the tour, I was able to see their new theater, gym, and the amazing art that decorates the hallways. They have impressive technology resources for students, including their own recording studio. It was a fantastic visit, and I’m so thankful for their hospitality! Last week in the Senate, we had several important hearings, including one before the Senate Agriculture Committee with Secretary Sonny Perdue. I was happy to have the opportunity to discuss several Nebraska ag topics with him such as rural broadband and trade. Continue reading for additional Senate updates. I participated in a Senate Agriculture Committee hearing with the U.S. Department of Agriculture Secretary Sonny Perdue focused on how the 2018 farm bill is being implemented. 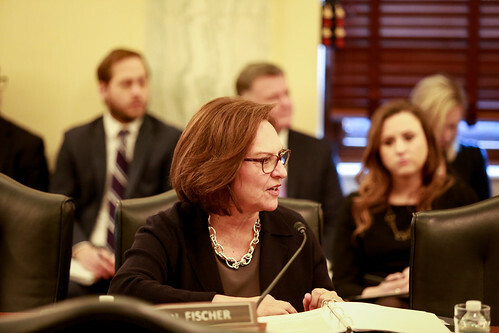 During this hearing, I questioned Secretary Perdue on expanding broadband connectivity, the implementation of my precision agriculture amendment that was enacted into law last Congress, trade, and the development of a Foot and Mouth Disease vaccine bank. These issues are important to our Nebraska farmers and ranchers and our state’s economy. Click here to watch video of my questions at the hearing. Click here to watch my floor speech supporting the Born-Alive Abortion Survivors Protection Act. I was deeply disturbed by recent actions regarding late-term abortions in Virginia and New York and the new extremes that it is okay to deny newborn abortion survivors medical care. In response, the Senate held a vote on the Born-Alive Abortion Survivors Protection Act, introduced by Senator Ben Sasse. This important, pro-life policy would ensure that newborns who survive abortions receive the same care and attention as any other newborn. As a cosponsor of this legislation, I took to the Senate floor to share my support for the bill and encouraged my colleagues to do the same. 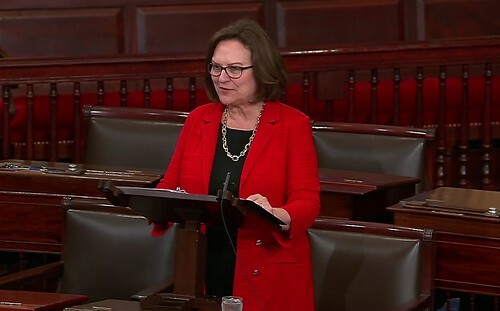 Even though the bill failed to pass the Senate, I am going to keep standing up against the extremism we’ve seen displayed recently and make it clear that infant children deserve our care, support, and love. 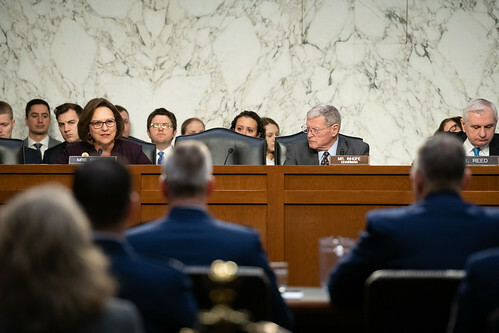 U.S. Strategic Command Commander General John Hyten testified before the Senate Armed Services Committee this month. My questions at the hearing covered the need for nuclear modernization. In his response to me, General Hyten stated that there is no threat assessment that supports cuts to U.S. nuclear forces. He also made it clear that the administration’s nuclear budget reflects the “minimum essential” to keep our nation safe. Click here to watch the video from the Armed Services hearing with General Hyten. Click here to watch Nebraska's senators speak on the Senate floor on UNL’s 150 Anniversary. 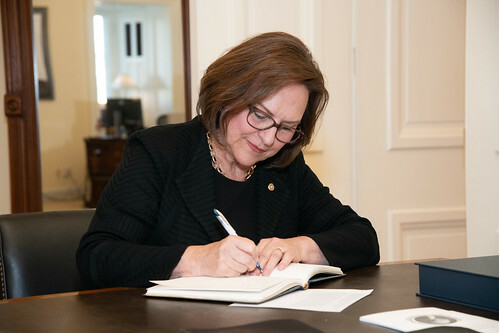 Last week, the Senate unanimously passed my resolution recognizing the 150th anniversary of the University of Nebraska-Lincoln (UNL). This resolution is a formal way for the U.S. Senate to extend their congratulations to UNL on this special milestone in its history. Before the resolution passed, I was joined by Senator Ben Sasse on the Senate floor in speaking about the key role UNL plays in our state and the remarkable impact it has made on students since 1869. It was an honor to continue this Senate tradition and read his parting words once more. 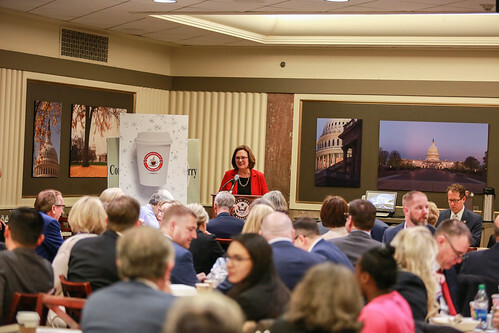 On Valentine’s Day, I hosted a “Heart of the Sandhills” luncheon for my U.S. Senate colleagues and showcased some of the wonderful products Nebraska has to offer. Click here to learn more! 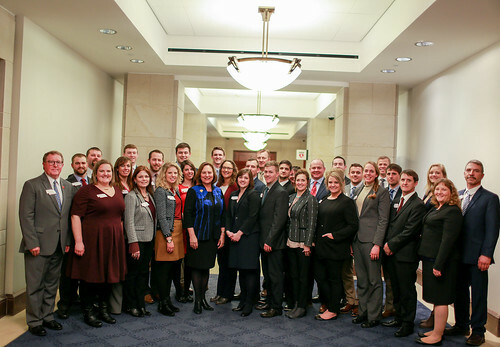 It was great to visit with Nebraska LEAD Group 38 while they were in Washington. Ag is the beating heart of our state’s economy, and I’m proud to see a new generation of agriculture leaders come forward. We have kicked off this year’s Nebraska Breakfast. 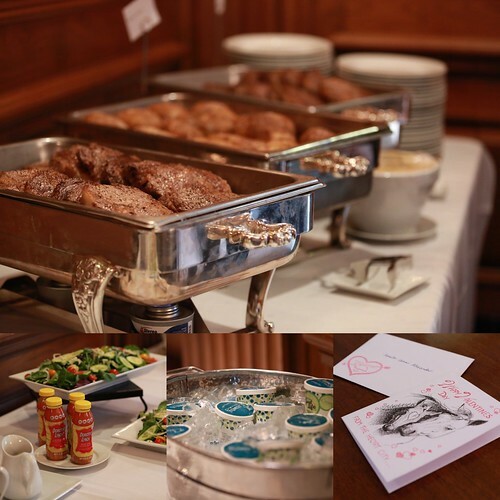 Please join us on Wednesday mornings if you are traveling to Washington. Upcoming dates are here. 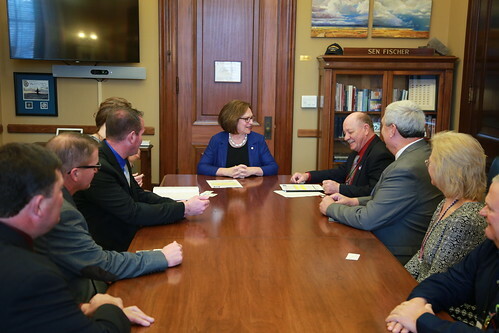 I appreciate the Nebraska Rural Water Association for stopping by my office to discuss water infrastructure issues. 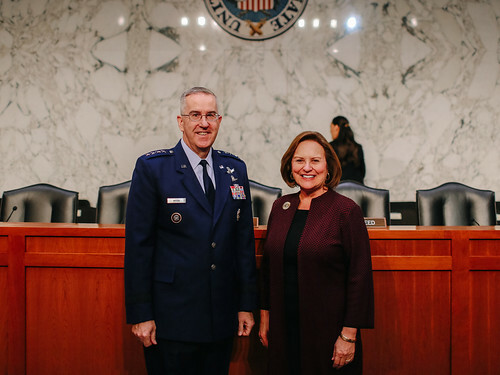 It was a pleasure talking to General Hyten, commander of U.S. Strategic Command, before he testified in front of the Senate Armed Services Committee hearing.